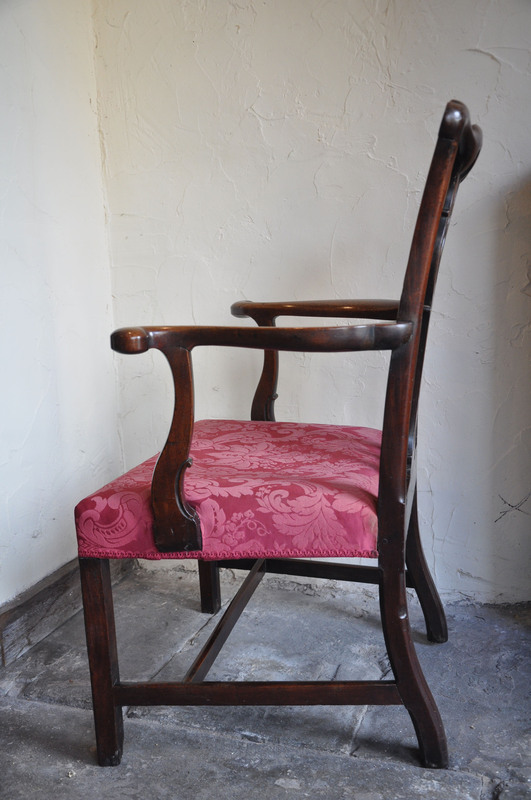 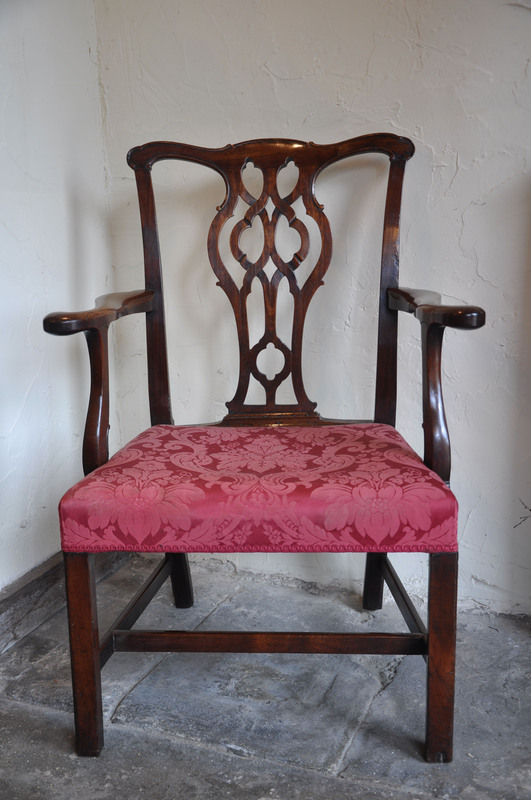 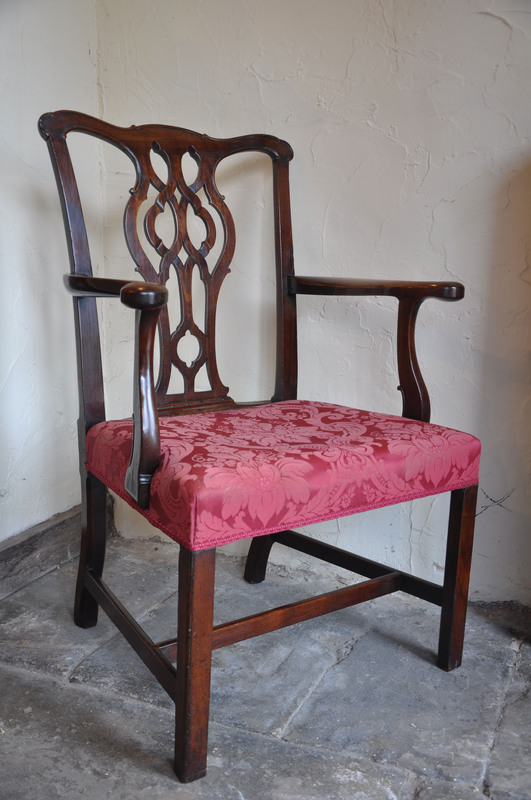 A Fine Quality 18th century Mahogany Chippendale armchair. 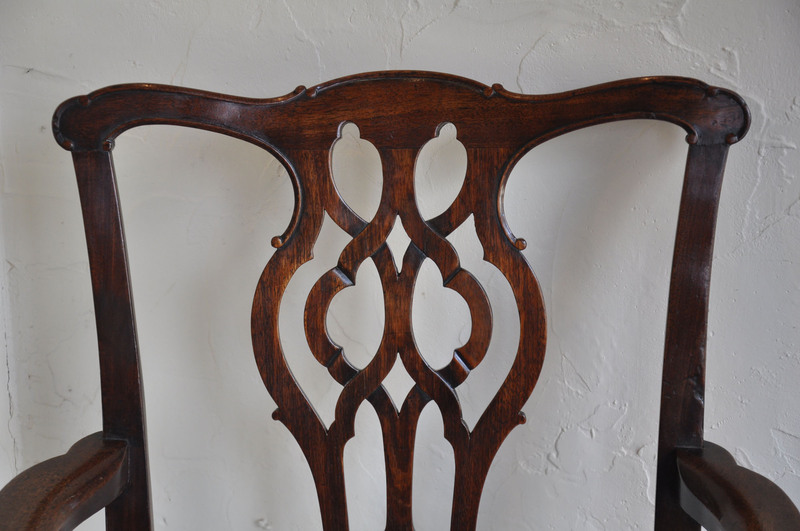 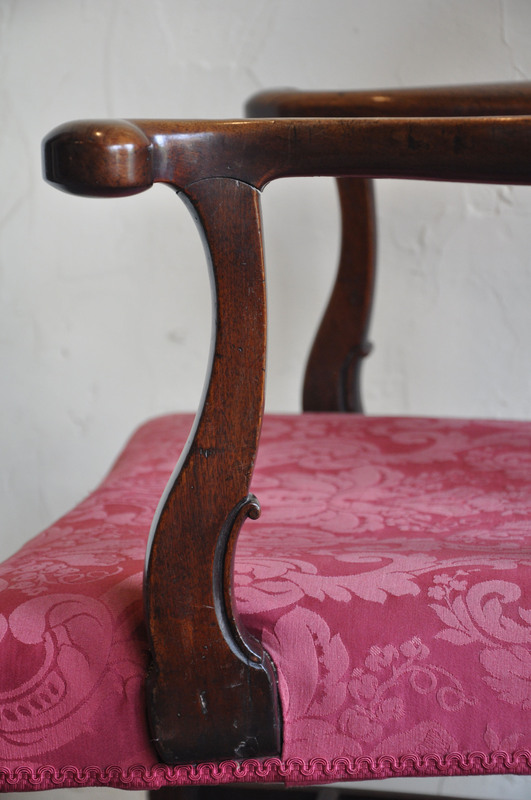 The splat, top rails and arms carved with C scrolls. 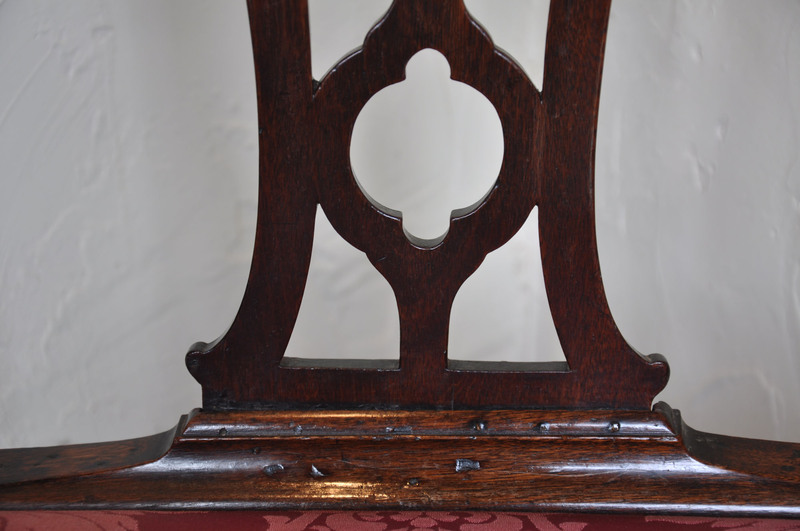 The fret work to the splat shows gothic influence in the design. 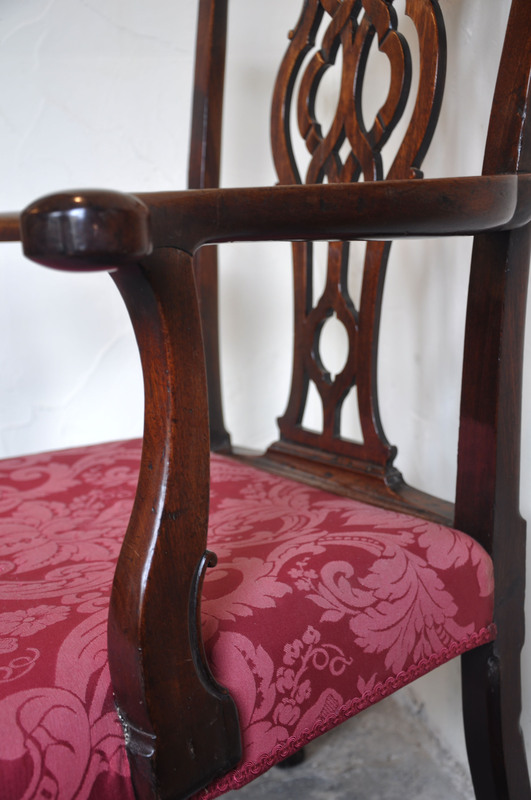 The arms are of particularly fine shape and complement the excellent design.